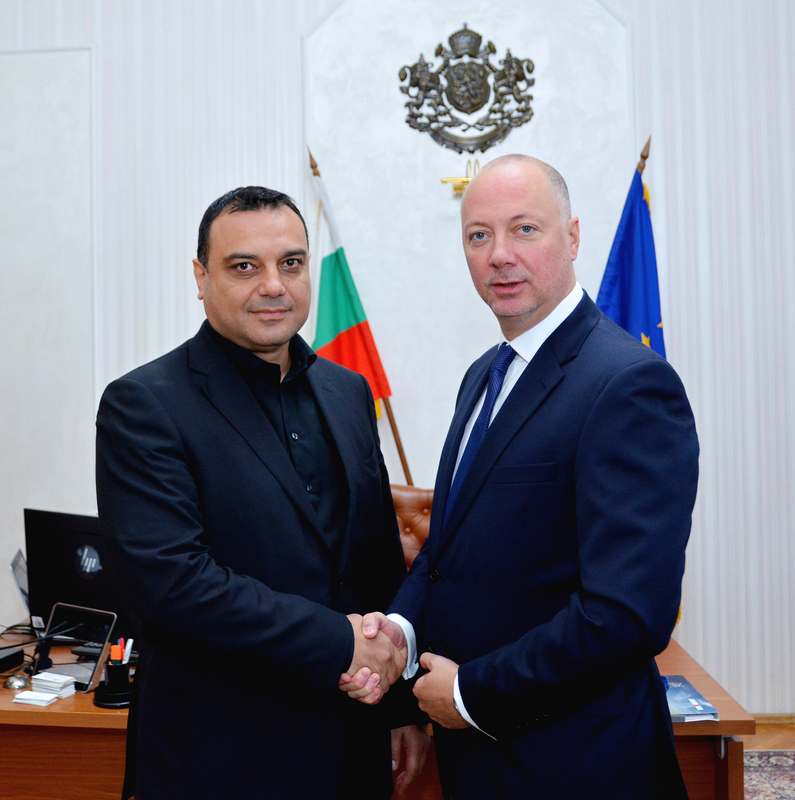 Continuity within the Ministry team is of utmost importance for the ongoing reforms, said the Minister of Transport, Information Technology and Communications, Rossen Jeliazkov, upon assuming the new position, and thanked the outgoing Minister Moiskovski. Ivaylo Moskovski commented that upon Jeliazkov’s succession, the Ministry is in stable condition, yet there are a few issues that require personal commitment from the very beginning. “Part of the projects under OP Transport and Transport Infrastructure are delayed due to complains and the delay is to be made up for.” Moskovski further pointed out that improvement of the coordination and joint efforts of all stakeholders responsible for road safety is among the main challenges. “The major objective concerning BDZ is the rehabilitation of the railway system, which was literally on the verge of bankruptcy in 2009. Currently, all bank loans have been repaid and there is a mechanism for the financial rehabilitation developed”, commented Moskovski. Another important issue for the new Minister to consider is the concession of transport facilities. “Concession is popular worldwide and is an effective mechanism for the development of port and airport infrastructure, which are profit-generating and could not be developed only with European financing”, stated Ivaylo Moskovski. Rossen Jeliazkov started his administrative career as a Secretary of Sofia Municipality in the period 2003 – 2009. In the period 2011-2013 he was a Chairman of the Management Board of the Institute of Public Administration and a representative of the Republic of Bulgaria to the European Institute of Public Administration (EIPA) in Maastricht, the Netherlands. From 2009 to 2013 he was a Secretary General of the Council of Ministers. In the period 2014-2016 he was an Adviser to the Prime Minister on Public Administration and e-Government issues. As of 30 September 2016 by Decision of the Council of Ministers he was appointed Chairman of the State e-Government Agency. From January 2018, he was appointed Chairman of the Communications Regulation Commission.